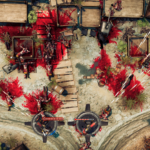 Publisher Techland Publishing and developer One More Level are proud to announce that their bloody shooter God’s Trigger will launch April 18th on PC, Xbox One and PlayStation 4. 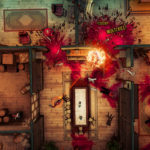 In the launch trailer, players can get a glimpse of the action to come, as more of the impending top-down shooter’s storyline is revealed. 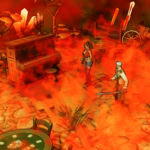 God’s Trigger has you destroying everything in your path as quickly and stylishly as possible to stop the apocalypse. 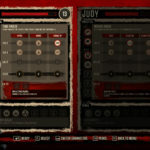 Use combos, customisable special abilities, and environmental traps to your advantage. 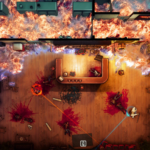 God’s Triggers features an eight-hour long campaign of pure carnage, playable solo and in co-op. 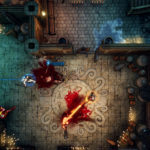 Defeat numerous and unique-looking monsters and face the game’s five epic bosses. 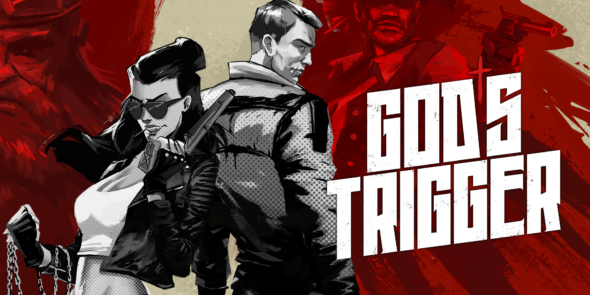 In celebrating the launch of God’s Trigger, Techland Publishing has some amazing prizes to give away to one solo winner and two co-op winners that can prove their murderous skill in battle. Upload your combat footage to YouTube with the tag #GodsTrigger and “God’s Trigger” in the tile for a chance to win powerful Alienware gaming laptops. For more information, be sure to check OneMoreLevel’s Facebook page, here.